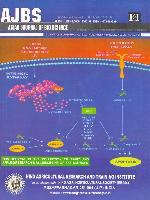 Asian Journal of Bio Science is an official publication of the Hind Agri-Horticultural Society. It features the original research in all branches of agriculture, plant, bio science and other cognate branches of sufficient relevance. The journal publishes three types of articles. i.e. Review/Strategy/Case Study (exclusively by invitation from the personalities of eminence), Research paper and Research Note. The National Academy of Agricultural Sciences (NAAS), had rated this journal with a mark of 3.4 on a scale of 1 to 10.